100 followers on my blog - Woo Hoo! 93 of you that I have!! Once I hit 100 followers I'm going to be putting everyone's name in the pot and doing a Blog Give-A-Way as an appreciation gift to everyone who follows along in my quirkly little corner of the world. There will be three winners in my Blog Give-A-Way. 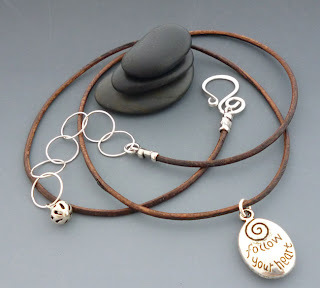 that I created for the Bead Soup Blog Party this fall that everyone gave me such nice compliments on. 2nd Up will be my "Follow Your Dreams" Necklace with pewter charm, leather cord and one of my handcrafted sterling silver swirl clasps. simplistic style, it speaks volumes! 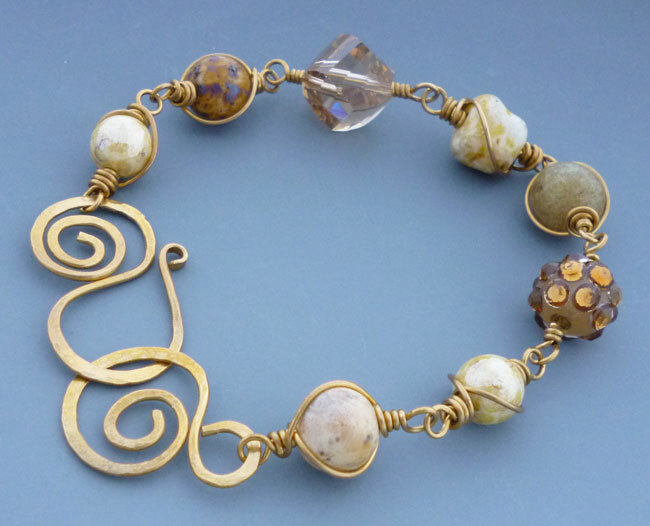 "Butterscotch" beaded brass wire-wrapped bracelet which, with it's assortment of wire wrapped beads, is fun and funky! Once I hit "100" I'll be doing the drawing and posting the results of the "100 Followers Give-A-Way" so check back often and see how things are going! Also, this Monday, I wanted to tell you about a pretty big event that's happening online the 26th of November through the 3rd of December with Lori Anderson. 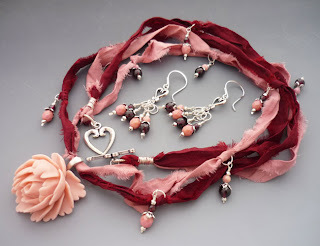 She's such an innovative one, this lovely beady blogger, and she's come up with the First Annual Virtual Craft Show which she's hosting over on her blog, Pretty Things. You'll definitely want to check it out! Click on over to her blog now for the all the juicy details! 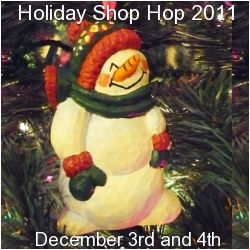 Also, don't forget, the Holiday Shop Hop 2011 will take place right here on my blog (and several other's blogs as well!) for two days the weekend of December 3rd and 4th as well. You'll be able to hop around to several shops and blogs and check out some wonderful handmade items and support the art community when you do your holiday shopping this year. So, that's it for this Monday. Here's to a creative week everyone! Peace, Love and Lovely Give-A-Ways, Fun Craft Shows and cool Holiday Shop Hops! I already commented, but I had to add that I really LOVE that bracelet! Your jewelry's beautiful. I love your wire clasp. Very nice.